Fiji is lucky to have a Prime Minister who looks beyond race and religion and sees all Fijians as equals, says Attorney-General Aiyaz Sayed-Khaiyum. Speaking at the Shree Gopal Sadhu Hanumaan Gadhi Mandir in Nakasi on Tuesday night Mr Sayed-Khaiyum reinforced that all appointments to various Government statuary boards had been done on merit. “I have worked with the Honourable Prime Minister for 11 years now and not once has he asked me what the race and religion was of a person we were appointing to boards. He has asked whether the appointee will be able to do the job,” Mr Sayed-Khaiyum said as applause erupted from the crowd. Speaking in Fijian Hindi, Mr Sayed-Khaiyum went on to say that Mr Bainimarama had never shielded away from demanding justice and equality for all. He said no PM, from the time of the late Ratu Sir Kamisese Mara had called for equality for all Fijians. Mr Bainimarama had. He said when there were discussions in the 1970s for every person born in Fiji to be called a Fijian, politicians opposing that had said there would be blood on the streets of Suva if that had happened. He questioned the people present if any of their rights had been snatched under the leadership of Mr Bainimarama. He questioned whether their children had been denied a job based on their race or religion. There was a chorus of “No” from the audience. Mr Sayed-Khaiyum said before the 2014 general elections, one political party had made a video which it later distributed on CDs claiming that land was not safe under the 2013 Constitution. The party also claimed that if the FijiFirst party was to form the Government, the iTaukei population would need to live on reserves. He said despite knowing that this was an outright lie, political parties continued to spread this message to win votes. He said in his recent trip to Labasa many people came up to Government ministers informing them that members of another political party, which had been in the country for decades, were going around saying that FijiFirst was a “Musalmaan-Mandaraji” (Muslim-South Indian) Party. Mandaraji is the Fijian Hindi term for South Indians. Mr Sayed-Khaiyum said Opposition parties knew well that they could not match the developments and policies of FijiFirst, so they resorted to gutter politics of race and religion. This had been denounced by Mr Bainimarama in the strongest terms. He said they had recordings where Opposition party members were talking about the race and religion of Fijians who were appointed to various boards. 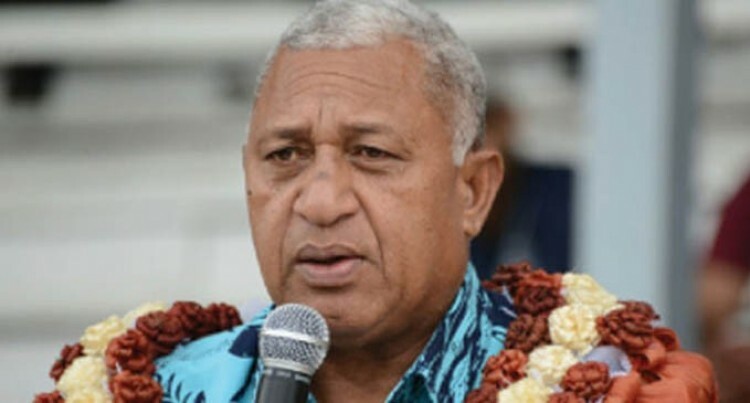 Mr Bainimarama did not attend the public forum because he was sick. His statement was read by Mr Sayed-Khaiyum.